Writing to the Romans, the Apostle Paul implores them to live a life transformed not by the culture but by their faith. He also emphasizes that each of them have been given unique gifts by God. Please read the passage in your favorite translation or in the Common English Bible below. As you read, pray and meditate on your own gifts and the gifts you see in others. 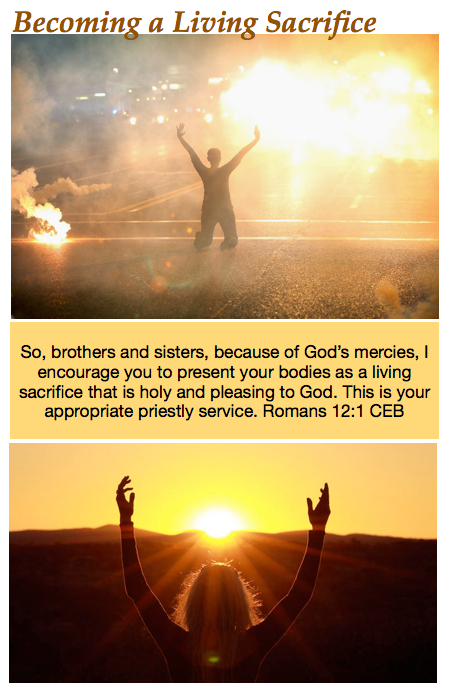 12 So, brothers and sisters, because of God’s mercies, I encourage you to present your bodies as a living sacrifice that is holy and pleasing to God. This is your appropriate priestly service. 2 Don’t be conformed to the patterns of this world, but be transformed by the renewing of your minds so that you can figure out what God’s will is—what is good and pleasing and mature. 3 Because of the grace that God gave me, I can say to each one of you: don’t think of yourself more highly than you ought to think. 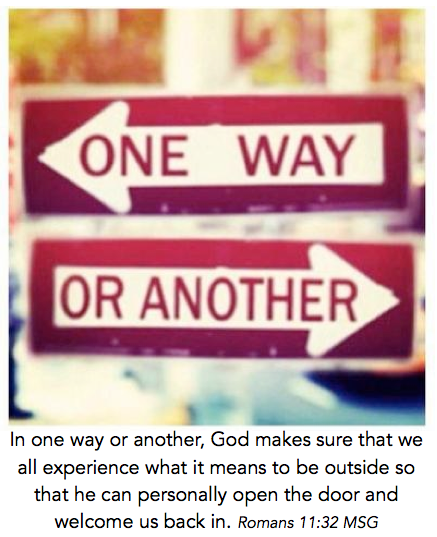 Instead, be reasonable since God has measured out a portion of faith to each one of you. 4 We have many parts in one body, but the parts don’t all have the same function. 5 In the same way, though there are many of us, we are one body in Christ, and individually we belong to each other. 6 We have different gifts that are consistent with God’s grace that has been given to us. If your gift is prophecy, you should prophesy in proportion to your faith. 7 If your gift is service, devote yourself to serving. If your gift is teaching, devote yourself to teaching. 8 If your gift is encouragement, devote yourself to encouraging. The one giving should do it with no strings attached. The leader should lead with passion. The one showing mercy should be cheerful. Our scripture readings for Sunday are Psalm 133 and Romans 11:1-2a, 29-32. Please read these passages in your favorite translation or you can read them from the Common English Bible below. As you read, please pray and meditate upon their meaning in your life and our shared lives. when families[a] live together as one! Psalm 133:1 Or brothers (and sisters); the term often encompasses extended family relationships. So I ask you, has God rejected his people? Absolutely not! I’m an Israelite, a descendant of Abraham, from the tribe of Benjamin. 2 God hasn’t rejected his people, whom he knew in advance. 29 God’s gifts and calling can’t be taken back. 30 Once you were disobedient to God, but now you have mercy because they were disobedient. 31 In the same way, they have also been disobedient because of the mercy that you received, so now they can receive mercy too. 32 God has locked up all people in disobedience, in order to have mercy on all of them.